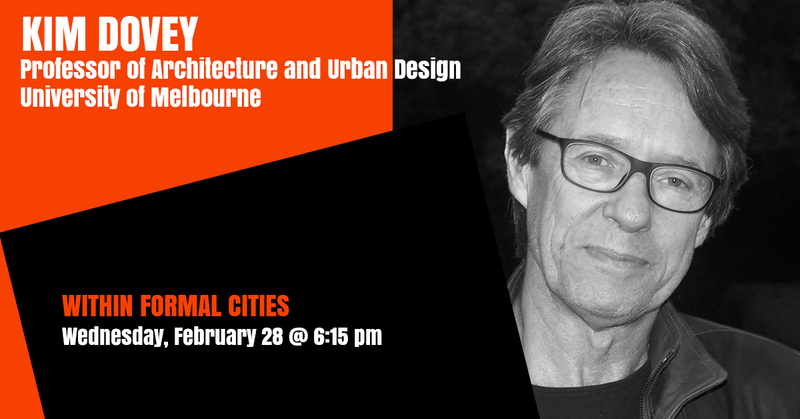 Kim Dovey is Professor of Architecture and Urban Design at the Melbourne School of Design, University of Melbourne. He was educated at Curtin University, University of Melbourne and UC Berkeley (PhD) and has taught at Berkeley, RMIT and Melbourne Universities. He has conducted research on social issues in architecture and urban design for over 30 years with a recent focus on the morphologies of informal settlements in cities of the global South. His books include ‘Framing Places’ (Routledge 1999), ‘Fluid City’ (Routledge 2005), ‘Becoming Places’ (Routledge 2010) and ‘Urban Design Thinking’ (Bloomsbury 2016), as well as the edited volumes Mapping Urbanities (Routledge 2017) and Urban Choreography (Melbourne UP 2017).